Serie A side AC Milan have been added to the wishlist of rumoured suitors for French outfit Marseille centre-back Boubacar Kamara, according to the latest report. The 19-year-old star’s form for the French club in his breakthrough season has seen him linked with Premier League pair Arsenal and Chelsea as well as other European sides. Boubacar has been a regular at the back for Les Olympiens this season and has earned comparisons to Paris Saint-Germain defender Thiago Silva for his ability to read the game. With a host of teams supposedly readying official offers for the teenage defender, football news Italian website Calciomercato.com claims that AC Milan have also joined the race. Chief scout Geoffrey Moncada is said to be a huge fan and the France Under-20s international is now on the Italian giants’ shopping list ahead of next season. 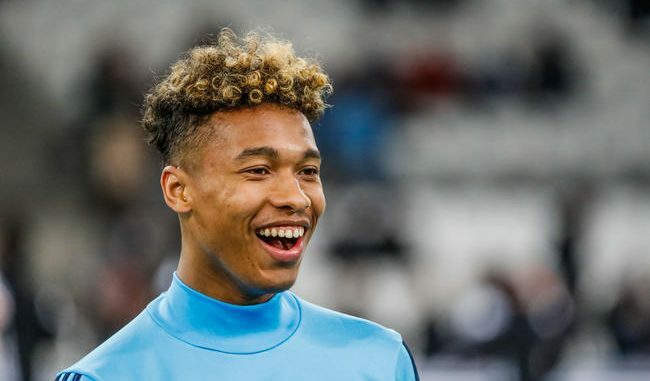 The youngster is under contract with Marseille until the summer of 2020 and official negotiations with the club’s management over a renewal are said to be underway. This campaign, in all competitions (Coupe de France, Europa League, Coupe de la Ligue, Ligue 1), Marseille academy graduate has made appearances and netted one goal (against Bordeaux) for his side so far.